We have our three SHINE girl give-away winners! You have won this awesome monogrammed notebook from Uppity Designs! Please contact Brandy Allgood at Uppitydesigns@bellsouth.net to claim your prize, and to give her your mongramming information. She is expecting to hear from YOU! So happy for you, girls! More SHINE give-aways coming soon!! Also, happy 5th day of our 40 day prayer challenge! I'm so proud of you girls! Oh my goodness, let me just dive right into the deep end of the pool. I am utterly amazed at the Lord. Last night, I tossed and turned, and tossed and turned, just thinking of what He is doing in the lives of those around me. Girls, can I just say that this intentional praying is literally melting the ugly fat right off of this little heart of mine? When we pray, God's desires and His will become ours. The build up of flesh (or fat, as I like to call it), slowly dissolves when the bright Light of His desires and His purposes shines through from intimate prayer with Him! Can you picture it? I imagine, my hands held high reaching the Heavens as I pray. Then, I imagine, the Lord touching my fingertips and sending His Power and His will into my life! It radiates straight to my heart and burns off all of the "Jill" desires! It really does! Girls, ELECTRICAL STORM! Seriously, that is some mega-watt POWER! Friends, the beauty of prayer is that it brings God's will to Earth. Not only does it bring His will to Earth, but it opens our eyes to what HE sees. Oh, girls, does it open our eyes. If we were all together in a big room, I could tell you of some stories just this week of some opening of the eyes. When we have His eyes, we are able to have HIS perspective. HIS compassion. HIS mercy. HIS forgiveness. As my eyes brim over with tears as I type, I urge you to press on in this 40 day prayer journey. He is doing a mighty work in our hearts girls. Mighty. Oh, and don't think it stops right there. Just like when a bolt of lightening strikes, it affects those on the ground around it. God's Power does that through YOU, when you pray. Others will be affected, for the GOOD! No, not just the good, but for the BEST. God's best. 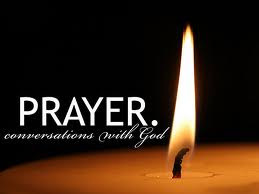 As you pray, I want you to find a friend and speak out loud a prayer that you would like to see answered. A request that is near and dear to your heart. Yes, speak it out loud. Friends, there is power in the spoken word. There is power when our faith meets the air that we breathe and we speak it into life. It takes boldness and courage to tell a friend something on your heart that only the Lord Himself could provide. Remember that the more we pray, His desires become our desires. Just this week, I asked my friends to pray for something very specific. Very, very specific. It was a huge request, because it just seemed impossible. Girls, that is only due to the power that comes when we speak these prayers that come from the depths of our weary little hearts. Speak them out loud, my friends. Remember how God created the world? He spoke all things into being. Lord, give us the boldness today to speak what is on our hearts. We have so many requests and so many desires. Help us to filter out Your desires from our desires. We crave Your will alone, Lord. Give us the strength and the courage to speak our request with Hope and anticipation to a friend or family member. We want to be strong in YOU! We are not weak, but we are strong because of YOUR great Power and YOUR great Love for us! Humbly, we serve You. Humbly, we bow our heads to You. We seek You, and You alone, Father. Open our eyes to what You see. Mold our hearts, Lord. You are the Potter, we are the clay. **girls, drawing will be held this afternoon for our weekday give-away! if you haven't entered.....go! we will have THREE winners! yes, three! Happy Serve-day Thursday, SHINE girls! Go out and serve someone today! Now that we are in full-on prayer mode, I guarantee that the Lord has already laid someone on your little heart to serve today. He is so awesome like that. He will draw others to our mind and heart that need some extra prayer and TLC. The cool thing is, He draws YOU to others minds and hearts as well. Oh, how He loves YOU!! Prayer to me is kind of a funny thing. It is our language and communication with God. It has some sense of mystery. Like whispers or clouds... you can't touch it or feel it exactly, but what is prayer? Really. "Prayer is the most aggressive, pro-active, offensive, invasive action one can take in any situation." Prayer is language. Prayer is serious. Prayer is powerful. Prayer engages God. That almighty Creator and Maker that we LOVE? Him. Since I was a little girl, my mother always said, "Who wants to pray?" (Silence.) She would follow, "Oh! God is very sad, no one wants to talk to Him...? We must not grieve the Father, we must pray when we have the chance, always. Do not let silence fall when someone asks 'who will pray'?" Instinctively, my twin sister, Mary, and I, pray. Never just the right words or just the right impressive God talk, but we pray so the Lord will not be grieved by our silence. That seed in my life has grown this year. It is a seed that needed time to mature, perhaps. I know that reading and marinating in the word emits prayer. It just does. They could not be more interrelated. Guess what? God doesn't care about your prayer language, he just wants to hear from you. If you feel like there is a prayer barrier in your life and God doesn't hear you-- or you don't hear Him, TELL Him. Ever get a chance to talk with your mother, sister, husband or best friend and need to spill your guts? Just let it out... do you look for all the perfect words? No. It just flows. It's because it is the honest, organic-truth, from your heart. GOD wants THAT from us! It's truth you don't have to apologize for. It's truth that our Father loves because he made us. He made us. OK, so if you are like me or any other Christian out there, you may have hit a prayer funk. Your funk might be for just for this morning. Your funk might be because you're feeling grumpy the last few days and are isolating, a little. Your funk might be since you had a major loss and you are mad at God. Your funk might be your whole life and you don't even know how to begin talking to God. It kinda reminds me of singing in rounds. Seriously. Remember as a kid trying to start in the right place once you goofed up...? "Row, Row, Row Your Boat..." and then by the second or third line, you lost your place and you didn't know where to jump back in because you were stuck and afraid to start back again and be wrong. You know what I mean? So, I just have one question. "Who wants to pray?" I pray that there is an endless community of SHINE girls saying, "Me!" "Me!" "Me!" "Me!" "I do!" "I will!" "I have never really talked to You like a friend, God, but I need a friend who understands me. Thank you for being there to listen-- and help me to talk to you, like the friend that You are. You made me, you know me, meet me right here, sweet Father. I do not want you to be grieved by my silence. Help me to think of prayer as a first resort, Dear God. Be Glorified in my life." Happy Worship Wednesday, SHINE girls! Wow, what a perfect way to start day 3 of our prayer challenge...worshiping the Lord! Girls, I have to tell you that these last few days have contained some intense conversation between the Lord and me. Like, really intense. It's been so cool being keenly aware of His presence throughout my day. Isn't He just the greatest? So, today, my friend Lisa is posting. She sent me an email soon after she ready Monday's SHINE post. I read it and knew that I had to share what she had to say. I couldn't keep all that goodness to myself, I like to share good stuff with my friends! Especially my SHINE friends! I am in Sarasota FL this week so my kiddos can get some major love-overload from my in-laws, their grandparents. Guess who else is in South FL? Yep, tropical storm Debby. I am over all her "warnings" and "watches" late into the night! Doesn't she know I need some sleep?! Pray on the realization that you are only perfect in Christ Jesus, not on this plea - "O Lord, I have done my best, please hear me." "Only perfect in Christ Jesus". Can we stop there? Honestly this took me off guard. Then I stopped and read it again. Again. And, again. That statement has nothing to do with me. It's Him. And me, wrapped all up, in His perfection. Let's put that statement with prayer. I was emailing with Jill and sharing my heart on how I pray. And how often. I will admit that for too many years, I would really all-out pray, when I had been sweet to Scott, read my Bible, without missing a day, for however long I felt was "good" or "enough" (whatever that means). Being perfect in Christ Jesus, and opening up to Him, all day long. He wants to hear from you...all day long. What's on your mind? I shared this with Jill, and she ask that I share it with all of you. I picture Jesus propped up on my counter when I am preparing a snack or meal, loading the dishwasher or wiping the counters. I picture Him in my passenger seat. It's so real to me, that I often put my hand on that seat. I feel Him there. I picture Him sitting in my comfy chair with His feet on my ottoman in my master bedroom while I fold the laundry that is spread out on my bed. In the early morning before my peeps wake up and I am reading SHINE or the Proverb or Psalms of the day, I know He is sitting right next to me. In all these situations I talk to Him. Whatever pops in my head. I talk to Him about the type of mate I desire for Max. I know that boy really well, so I chat with Him about it. I talk to Him about my social, oh-so-beautiful daughter and her college years. What I desire those to look like. I talk to Him about my husband. Things that I desire for him personally, then for us as a couple. I also tell my Heavenly Father how much He means to me. I acknowledge and thank Him for the things He has rescued me from. My mind goes back to times and places in my timeline where I had my toes on the edge, but He brought me back. Oh man, I did not have the maturity to see it then, but holy Toledo, do I see it now! So often I bawl my eyes out at what could have been. Thank You Jesus for your protection. Friends who are going through difficulty in their lives. Relationships that I desire to be stronger and better. My son's first grade teacher. My daughter's transition from home to pre-school. My husband's relationships at his work. Along with his protection, I know the enemy wants to get him. Back to Oswald Chamber's statement: Pray on the realization that you are only perfect in Christ Jesus, not on this plea - "O Lord, I have done my best, please hear me." When I only felt comfortable pouring out my heart to my Savior when I had "done my best", well I obviously didn't pray very often. When I am my "best" or "perfect" enough is kind of hard to pinpoint or nail down because I am extremely, extremely, flawed. And let's talk about this verse: I Thessalonians 5:17 Never stop praying. I think were we get hung up is we view prayer a certain way, and anything outside of that, is not prayer. I Thessalonians 5:17 Never stop praying. Start talking to Jesus. He's with you anyway...start talking and never stop. So, how was your first day of the 40 day prayer challenge yesterday? Isn't it the coolest thing to live each moment in prayer? It totally changes everything, doesn't it. Folding laundry, cooking my dinner, checking the mail....my thoughts were completely melted into praising Him and carrying a full-on conversation with my Heavenly Father. Day two here we come. Be blessed by Teddi Holt's post today. She began a website called Women who pray, and she truly lives a praying life. You will see by her post. I was so honored…and thrilled…and a little anxious after I got started…to share what praying the Word has meant to my life. I mean this is the 2nd draft…the other was 7 pages…lol!!!! :D!!!! Whew!! That’s right! I know you’re glad that I’m not giving you what I’ve spent the last say 3 hours typing…instead I’m going to give you an analogy…in fact, several. The LORD wrote in parables…picture stories… and analogies are the same. As a linguist and Biblicist…fancy huh?? …lol…just means I know and love English and my B-I- B-L-E…yes, that’s the book for me…I stand alone on the Word of God…the B-I-B-L-E!!! Woo Hoo!!! That says it all!!! We, the Church, have made it hard! It is not hard! It is disciplined but not hard! Now, let’s answer both questions…it takes what? How often must I practice? Once a week? Are you kidding? I need to practice how often? That’s right…every day! What about to be in the Olympics? How often do those winners practice? You getting my drift? What’s the old saying say? Practice makes what??? Perfect!!! That’s right. I’m asked how do you know so much Word? I practice the Word! I proclaim it!! Daily!!! I see a lot of people today exercising …and many are doing it every day…why? To stay fit is what I hear. Now, what does the Word say about physical exercise? It clearly says that it is not as important as your spiritual exercise. Now, how long are you to exercise…I mean some say just a little while or you can get by with less time…but for the most part …those who see real gain spend about an hour a day…running…or working out. In fact, most programs are for a week, and you exercise different parts different days. Time spent on getting a tan…or keeping up with soap operas…or fb…or reading a novel…even this takes the practice of keeping up. And, how much time is spent on baths, massages, hair-styling, hair-cutting, pedi and manicures…I mean a lot of luxury…and to stay looking the same we have to practice. Today, we let experts do these things and pay but we have to keep up with schedules, etc. Keeping house takes time if we want to share it with others as well as please our husbands and children…and all our hobbies…crafts, gardening, cooking, etc. All takes practice to do well!!! Now, when we are praying, why pray the Word? Or, better yet, how do we pray the Word? The Word is a lamp to my feet. The Word is a light unto my path. The Word is my shield and my buckler. The Word is Health to all my flesh. The LORD sent the Word to Heal. Jesus is the Word made flesh. I hide the Word in my heart that I not sin against God. Great peace have I who loves the Word (His law)and nothing shall offend me (cause me to stumble). He keeps me in perfect peace when my mind is stayed on Him. I have found that if I only pray at night, then I don’t pray much. If I begin my day with an hour or more of prayer, then, that Word comes up in me throughout the day and keeps me in peace. If I need re-filling at night…at least it’s only to re-fill…not to begin filling. I need to be full of the Holy Spirit as I walk through these last days…much trial and tribulation on every hand. The LORD showed me that I’m an ox. He also said that my prayer partners were oxen who were in a ditch and that I had to go help them out. Well, we started with 2 of us and we have joined ranks…there is at least 4 every day…only once in awhile are we as low as 3 …these days…but we might gain and have had as many as 7 on before we finish. And, 7 chases one billion! I’m mathematical. I love multiplication! And the LORD’s multiplication table is better than the world’s system. We’d be off the charts with 30…and yet, that’s what’s happening as those on our fb page pray the prayer blanket around the world. In India, as of Saturday, Vijay presented the prayer blanket …2nd printing of 1,000 copies…to be passed among the people. The LORD says it is a blanket…a comforter of light…being spread over that nation of darkness. India is like only 1 or 2 % Christian. To God be the Glory! You don’t have to get up and join me at 5:25am, but I will tell you , if you do, you will be very blessed…just to experience the Secret Place of the Most High in such a way. Or, you could join with your prayer partners and pray…at a different hour. Some have tried this…and let me warn you of pitfalls. If you don’t keep to your time limit…if you socialize at all…there’s not time to finish…and people usually feel unsuccessful. Or, if time is spent on many details of one’s needs and another can’t say their needs…one may be hurt or just feel unimportant. Also, it’s hard to get people to commit to beginning at a certain time and end at a certain time…if you lead a Bible Study or you attend one…you notice that very soon the focus is not on the Bible or the teacher who’s prepared to teach the Word…or Jesus Himself as it is during our prayer time. We even take prayer requests by email or phone or fb and then, we lay hands on them and pray over them all at the same time…even we remember and ones we’ve forgotten. We’ve had several times people who tried to change our focus and our time…but the LORD has won us over to a disciplined prayer life. Actually, I would not change what He’s done in me…a very undisciplined person about time and prayer, etc., for any amount of money or anything in this earth. I’ve seen many miracles…many strongholds demolished…and I declare daily that I’m expecting many more. The LORD is our focus…His Name and His Word which is above His Name!!! Many of you have heard or read from Joel Osteen. 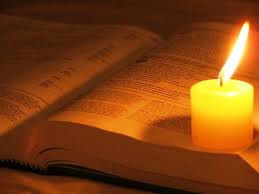 I knew of his father, John, through books and ministry. Well, I have not heard one sermon that has not lined up with what I’m saying today. Joel confesses only the Word about himself, his family and his ministry. He trains his church and his outreach to do the same. They proclaim only the Word of God over themselves and into their lives. Last Sunday’s message was about not settling for good…but reaching out for the best! Joel …like Beth Moore…talks about our Promised Land! They remind us of who we are in Christ…how our gifts were given to us…and though we may not have reached what we had hoped for, yet…that we’ve just not been standing in Faith long enough! Either the best is about to happen…or we’re doing rabbit trails while we wait instead of keeping our eyes on Jesus. Remember the art of jump roping girls? When others held the rope, and we had to jump in. We had to watch for that door of opportunity…totally focused. If we became distracted…we missed our opening. Don’t be distracted, girls. That’s our message. When we pray the Word, we pray the answer! We pray the finished picture. We proclaim things that are not as though they are! We walk and talk by Faith believing. It’s not Faith if we see it. Faith is the substance of things hoped for…the evidence of things not seen! We declare ourselves healed…how? By His stripes we are healed! We declare ourselves prosperous…how? We are the redeemed of the LORD and we say so! We are the head and not the tail!!! We’re like trees planted by the rivers of water, who bring forth their fruit in season. Our leaves do not wither, and whatever we do prospers!! It is God’s will that we prosper…as our soul prospers! We are to rejoice always! Why? The Joy of the LORD is our strength! To have Joy, we clap…stomp…shout for it! When we’re afraid…we trust in the LORD! We begin to sing and praise the LORD, and He inhabits our praises…we are resisting the devil , and the devil has to flee!! My challenge is that you allow me to send you the prayer blanket and you begin praying the Word over every aspect of your life. If something is not covered…you find it in the Word and add it…we’ve edited…addending it several times. The Prayer Blanket…like the Word is a living document! We don’t add to the meaning but translations and studies have made our understanding deeper. It is life-breathed and life-giving. Rhizoo in the Greek is our word rooted and means established, fixed, and grounded. The LORD spoke it to me today…Rooted in the Word. I actually thought I saw it, but when I looked for it, and I had Emily help me look…we did not find rooted in the Word. Google found for me in Colossians rooted in Christ and we know from John in chapter 1 that Jesus is the Word made flesh. In order that the Word be rooted in me, the water of the Word must pour into me daily and I must proclaim it daily. As I do…inhaling and exhaling…I am being refined…perfected…in Him. The seed sown by the side of the road in the rock…received joyfully…but the seed (the Word) did not bear root and was yanked up. Root that Word, Girls!! Much watering of the Word to Root that seed and allow it to grow up and bear fruit…so that we are like trees planted by the river of water …whose leaves don’t wither …and whatever we do prospers. Be armed, Girls!! Gird up our loins with Truth…the Word is Truth. Put on the breastplate of righteousness…the righteous meditate on the Word day and night. Our feet are shod with the preparation of the gospel of peace…the Word. Our shield of Faith…the Word is our shield and buckler. Our helmet of salvation…the Word is nigh in our mouth that we confess Jesus as LORD…and our sword is the Word that we wield as we pray. Glorrrryyy!!!! I get excited. No more lying down and trying to pray as I go to sleep…only for re-filling not for filling. No more falling asleep as I try to pray …because I’m too tired to think of all I need to pray for! No more of the enemy winning out in my prayer life!! Up and attem!!! Hitting the floor armed with the Word!!! Taking the day…instead of the day taking us with all its ambushes. Glory, LORD!!! Good Monday morning, SHINE girls! Oh my goodness, you have been on my heart all weekend in a HUGE way. I'm just going to jump right in and speak to you from the depths of my heart. God has been speaking to me loud and clear regarding something that He wants us to do. He has been throwing things in my path for the last 3 days regarding His purpose for us for the next several weeks. It's unmistakable. Girls, we are starting a new challenge today. A 40 Day Prayer Challenge. The heaviness of this on my heart is beyond comprehension of words to convey to you. I can only say that the Lord is drawing us to Him in complete surrender through prayer. He keeps telling me that prayer is the "missing link" to the fulfillment of His will for us here on Earth. God is standing in Heaven, arms held out with His Promises and His blessings and His desires for us. We see them, and we read them in His Word. We really, really want them. We even try to be good so that He will throw them our way. Girls, oh no, no, no, no. This is not the way it works with Him. In order to receive that bounty of His blessings and purposes for us and for this Earth we must raise our hands in prayer and receive them. Prayer is the conduit of receiving those blessings that He is freely offering to us. Through prayer comes His power, His will, and His purposes. Now, imagine the power that comes when we are all together (SHINE) praying for His will to be done. Hello? It's unimaginable, isn't it? As I was just typing, my computer went dead. Guess what? It wasn't plugged in. 5 seconds before it went dead, I looked up to Heaven and said, "Lord, let not my words be spoken here, but YOUR words. I need you to write this post for me. This is your will for us, not mine." So, the computer goes dead right after I pray this. What?? I look around and find that it was not plugged in. Girls! HUGE, HUGE visual and revelation that He is showing us! This computer is just a small black rectangular piece of equipment unless it is PLUGGED in to the power source. Listen closely, my friends. Prayer is OUR power source. It is what connects us to the power of God. We can be full of knowledge of Him, and be familiar with His word, but unless we are plugged in and communicating with Him consistently through prayer...we will have zero power. Zero. Today is day one of our Power charge, girls. It's time. Summer time is a very easy time to fall off the wagon with the Lord. We get a little lazier in our walk with Him. Guess what, though? We are not going to let that happen anymore, girls. Starting today, we are plugging in to Him through prayer. So, this is how it looks for me. I will praise Him throughout this day. When I see my husband, my children, trees, flowers, whatever...I will give Him thanks. When I hear of a need, I will pray immediately. It doesn't have to be a huge, long prayer, girls. It is just the constant communication with Him! Really, that is all that it is! Throughout these next 40 days, I will challenge you to pray for specific things on certain days. Talk about bringing some of His power down here on Earth, girls? When we two or more agree together in prayer....oh, watch out! Friends, I cannot even begin to describe to you how prayer has changed my life. It has been the missing link in my journey with Him. Truly, it has. It's not a prayer life that we want, but rather a praying life. So, here we go. Day one. Let's do this. We are beginning a new chapter, girls! Lamentations will be our focus this week. By Friday, we will be finished with the book of Lamentations! Can you even believe our progress? Wow. "The Lord be merciful to us and bless us and cause His face to shine upon us." Please leave your prayers under this post. We are honored to lift them to His Throne. God bless you this week, and may His face SHINE upon you in all you do. Okay, girls, I have a little FUN Friday surprise for YOU! Oooh, I am so excited to announce this! a monogrammed small note book! Who wants to win this AWESOME SHINE girl give-away?? We are giving away not one, not two, but THREE!!! Brandy Allgood, with Uppity Designs, has so generously offered these to our awesome SHINE sisters! You can even pick your fabric! Hello! Is she great or what? In keeping with our "keeping it simple" day, tell us something simple that you just LOVE. For example, mine is wildflowers. Just put your name, your current favorite "simple" thing under this post, and that's all! As always, if you are not able to comment, shoot me an email at shinegirlsshine@gmail.com and I will post your "simple" thing for you! Drawing will be next week...so get your comments in quick! I want you to know something today. You were knitted together detail by detail by the Lord. You are the apple of the Lord's eye. Yesterday, Presley and I were taking a morning walk in our neighborhood. When we came to a stopping point, I told her to close her eyes and listen to God's Voice and feel His Presence in her surroundings. We heard birds chirping, leaves rustling, and felt the wind gently caress our faces. After about a minute, she opened her eyes and said, "Mommy, thank you for not bringing your cell phone on our walk. It would have started beeping or ringing and would have completely ruined our quiet!" Sometimes, I wonder what I miss when I surround myself with so many distractions. Yesterday, I would have missed the most peaceful and Spirit-filled moment of my day. As Presley and I continued on our walk, we picked the most beautiful wild flowers. These flowers have been growing here forever, but we never really stopped to notice them before. They were somehow overlooked. Hear me when I say this: the simple things in life are the most beautiful, and often the most overlooked. Are you feeling overlooked, somehow? Precious friend, you are the pride and joy of your Heavenly Father. Believe me when I tell you that He is one proud Daddy. He loves all of the intricate little details of you. Every single one. Roll around in that for just a second. Feel it wrap around you like a warm blanket. Oh, sweet friend, He loves you so. Look around you and notice the simple things today. As you go about your day, stop for a minute, turn off your phone, and listen to the Lord speak to you in your surroundings. Close your eyes if you can, and inhale the scent of your Heavenly Father's aroma beckoning for your engagement. You will be completely amazed by the things you notice today. The things you often overlook, will suddenly come into focus. Happy Serve-Day Thursday, my SHINE friends! Today, we serve! Find an opportunity to serve someone in some way. Small little acts of service go a long way. Think about how it makes you feel when someone does a little small something for you. Feels pretty good, doesn't it? So, today we begin the book of Jude. Good stuff in these 25 little verses, girls. Good stuff. 2 Peter was rather short, wasn't it? Jam-packed with goodness though! Oh, and how about Rebekah breaking Peter down for us yesterday!? Awesome. Did you find that you could relate to little ol' Peter? Peter had a lot of flaws. Oh, girls, I can relate to some flaws! Peter had a heart that loved Jesus and a heart that was hopelessly devoted. Yet, Peter still continued to screw up. Big time! I love that Jesus knew all the dumb and careless things that Peter would do...yet still used Peter in a big way! Hello? Is anyone hearing that? Whatever the case, it sure made me feel good! Even despite my reckless, careless, on-again, off-again behavior? Even despite my temperamental, hormonal, wishy-washy self? .Jesus can use me! Jesus can use YOU! Girls, I think my middle name is Peter. For real. I do. Jill Peter Hill. Yep, that sounds about right. I get him! I understand this dude! I will totally look for him in heaven and give him a high-five! Oh yes I will! Despite that big messy list of ugliness, He still loves us! He knows that we are passionate in our love for Him! He knows what we are capable of doing for His Kingdom! How does that make your pretty little self feel? You should feel incredibly special! Because, you are! Now quit being so hard on yourself and just keep on pressing on in His word! He is growing you (and me) daily! He is preparing us, girls. Just like He prepared Peter to spread the gospel and set the world on fire for Jesus...He wants to do the same for us too! Jesus is not looking for perfect! Jesus is looking for prepared. How do we get prepared? I love you, my SHINE girls! Y'all, I love Peter. I love that the SHINE girls have a chance to sit with him here in 2nd Peter and revel in his faith and love for Christ. When we have a new author, isn't it fun to get a sense of the author and his background? Peter is faithful to his friend, Jesus. Peter isn't perfect and he fails miserably, just like we do. He may be a very unlikely leader, you know? Yet, God uses Peter to further the Kingdom of God, just like He uses us today. I was looking back and wanted to share these observations with my SHINE friends. Even as a young man, (the oldest disciple of Christ, but a young man, at just 19 years of age) Peter boldly followed Him to step out and walk on the Sea of Galilee. Matthew 14 tells of this account. Was Peter's faith perfect? Not by a long shot, he begins to sink, just as he begins walking, but I am struck by Peter's willingness to walk and Christ's grace as He tells Peter to "Come." Peter was fiercely devoted to Christ. It was Peter who stepped forward with his own sword and struck the Roman solider who was threatening to take his Lord. John 18. Did Jesus Christ need a body guard? He had God, what else did he need? I love Peter because he doesn't take time to think, he steps forward and inserts himself to protect what he loves with all of his heart. Jesus Christ. Peter really is bold. the Lord lights Peter on fire to do His work. Without Peter, we may not know the gospel the way we do today. (God would have found other means, but He did not have to because Peter took God's message everywhere he could.) Peter devoted his entire life to "telling the good news." Not only did Peter "tell," but he "told" with reckless abandon. He was beaten, imprisoned and eventually martyred, just like Jesus. Matthew 16:18 is incredible to me. Christ calls this all into being as He tells Peter, "And I tell you that you are Peter, and on this rock I will build my church, and the gates of death will not overcome it." This one chapter is filled with reminders from Peter to "keep on keepin' on." Specifically, Peter is speaking of God's promises... The part of this passage that really speaks to me is the part about the promises of God related to my prayers. How often are we praying and we remind God of how long we have been waiting, wanting to hear from Him. I know our family has a prayer that we've prayed for over 20 years. It's a heart cringing prayer, one that we desperately want "answered." There have been some tiny wins, but no major answer(s) to our prayers and today it feels like we are back at square one. Beginning in verse 8 and continuing through this chapter, Peter explains that when God seems slow to keeping His promises, He is actually showing His patience to us. WOW. I think that is true and yet, I almost drop my Bible reading these words. You mean no news really is good news? Perhaps, if we don't think of ourselves and we think of the person who we are praying for, God is definitely showing His patience to them. Giving those individuals ample time to "Come." Giving us ample time to show grace, trust Him, live the Christian life without judgment and with the faith in Christ that HE IS ABLE, Ephesians 3:20. He is showing patience to us as we learn how to pray and how to fall within His will. We all know that we are, by nature, impatient as human beings. Guess what? We have to assume that God created us this way. How else could it happen??? Consequently, it creates this tension in our lives. A tension that is in desperate need of God and a tension that is only satisfied by faith in Him. This all reminds us of how God views time so differently than we do. "Dear Lord, please help us to rest in this truth today and trust You with the details of our lives. Give us faith in the moments, days and years that it takes for Your promises to be fulfilled. Help us to have peace in You and not in our circumstances. Give us Your peace to know that all of our prayers are answered even though we do not yet know what the answers are. Help us to have faith in your will and that even more passage of time will only leverage answered prayer for Your Glory." This next post is very close to my heart. Lisa and I had a very long conversation about this just yesterday. God puts many "good" things into our lives, however, we must listen very closely to His voice to choose the "best" thing for our families. God has a divine order. We must, as women, stick with this order. Or, well quite frankly, all heck breaks loose. Peace is lost, and we are wondering what in the world just happened. Can You See My Ribs? Can we talk about being spread thin? Who hasn't had days, weeks or months where we are barely keeping our head above water. I know during these times, I am not at my best, and most times, do not have easy peace at home. I had a day this week where I had 2 commitments, fun, good stuff. Then I found out about an opportunity through our church, for my oldest - bowling!! Now, I could have managed all 3 things, but by the time my husband got home from work, we'd all be so tired, so grumpy...this is so not a good situation for him to come home too. Would I want to come home? So I cancelled the first 2 commitments, they were my commitments that my children would have attended, with me. But the bowling? Not a question. My heart and focus is on my hubby and kiddos. My boy needs and wants to attend bowling...Summer time fun, just for him! With a happy momma taking him, not a spread-so-thin-you-can-see-my-ribs, momma. (And a tired little sister). I had a conversation with my mom the other day over big plates of Jason's Deli's salad bar goodness, she was asking me about my days, what they look like. She reminded me, "Lisa, when you get to heaven, the Lord is going ask you, 'how well did you love and care for Scott, Max, and Jenna...' " She went on further explaining that I show my Heavenly Father how much I love Him, but how well I help and love those who are under my care. Boy oh boy, does that make me look at my calendar a little more closely. Obviously I do not believe having a jam-packed calendar as a sin. I don't think having a Summer full of fun-loving activities is wrong. But I will challenge you as I challenge myself. Are your peeps under your roof happy and content. When y'all are together as a family, is it easy and peaceful. Or is everyone spread thin, exhausted and grumpy. Which does bring up another point we as women are notorious for...ready...over-committing so we don't "disappoint" someone else. Oh my goodness, we women say yes to EVERYTHING! Even when we know it's way, way too much. And so many things we are committed to are good, good things. But when I am not enjoying my commitments or in the car on my way wish I were at home, that's when I slam on the brakes and scale back - PRONTO. Because when I am wishing I was home, or I know my family wants me home, I know that's the Lord telling me, "Lisa, get home where you belong". Or what about this scene. I will be in the car with my kids heading out and this conversation unfolds, "Mommy where are we going? ", "grabbing ChickFilA then heading to the park", "who is going with us? ", "no one, it's just us", "oh yippee". This is a true story. I then think back to the days or weeks prior, and we did not have much down time, much chillin'...just us. One more thought (the Lord keeps bringing them to me, He must want me to share). Whenever one of my children seems needy or wants to crawl under my skin, I, again, think back to how I've been spending my time...on my laptop, texting or chatting on my phone a lot, out on play-dates or pools all the while chatting with the other mom. These are all good things, but I know with my 2 kiddos, they need time with me...just me, snuggling on the couch or in my bed watching PBS Kids, playtime with just me. Most times now, when I am asked to attend or be part of something, I will tell the person that I will get back to them. This little window of time allows me to check in with Scott on his week, look at what I've got scheduled for the kids, then make my decision. Regarding asking Scott about his week: Genesis 2:18 Then the LORD God said, "It is not good for the man to be alone. I will make a helper who is just right for him." Or, what about when your social life is rockin & rollin' and your hubs want you to stay home and watch, yet another, Braves game? Matthew 5:9 “Blessed are the peacemakers, for they shall be called sons of God. Again, I do not think business vs low-key-ness is a right or wrong. But I know when the Spirit pricks my heart, or my kids are tired and unhappy, or more importantly, when their daddy is not thrilled w/ my go-go-go calendar....I must take inventory and make some changes. So join me SHINE sisters, in stepping back, looking at the people under our roofs, then, looking at our calendars and agendas....have a chat with our Savior, "Lord is this too much, do I need to scale back..."